Boundary tolerances measured in meters going to centimeters . Geo-zoning lends itself particularly well to mobile gaming that is limited to defined jurisdictions. Zonal has a Patented Solution for that. No beacons necessary, no WiFi footprints, no cell tower tracking. Zonal’s co-founder, Chip Northrup, was an angel investor in SportingBet, Plc. a pioneer in online gaming. Zonal’s newest technology can take the resolution of the zone down from +/- 3 meter to +/- .3 meter, replacing beacons, as described here: High Definition Zones Summary. 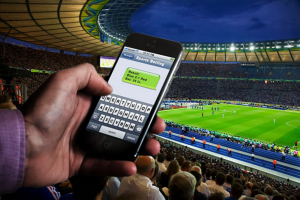 Zonal’s phone app can define the regulated area to be the size of a sports bar, it can exclude gaming from specific locations such as schools, and it capture the handle of hyper-local promotions. This gives the gaming regulator and the licensed operator new options for mobile gaming. For more information, please contact us for a demo and the Zonal Gaming Power Point.